Why can't I sign in to my Account ? The most common issue is you’ve forgotten your username or password. Recover your login information here or contact us if you continue to have problems. Does posting a job cost anything ? Posting a job is Free for a 2 week time period. We do offer job upgrade options to increase job views across the network. Start your Free Trial. 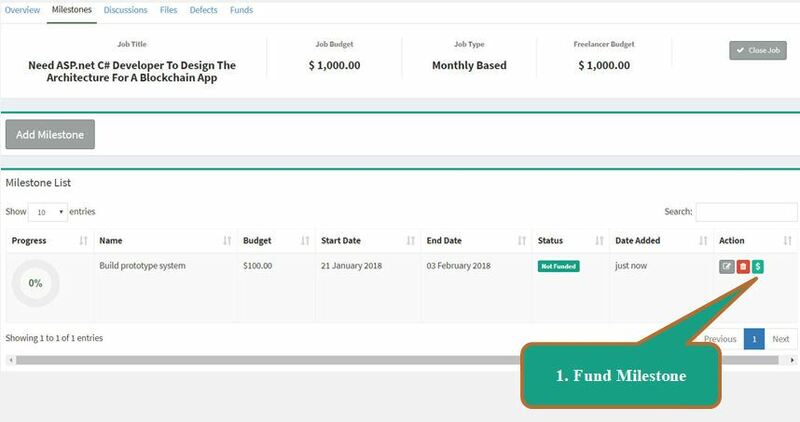 How is payment sent to Freelancer ? At the start of a Fixed-Price Job Agreement payments are received by FreelancerMax Escrow. 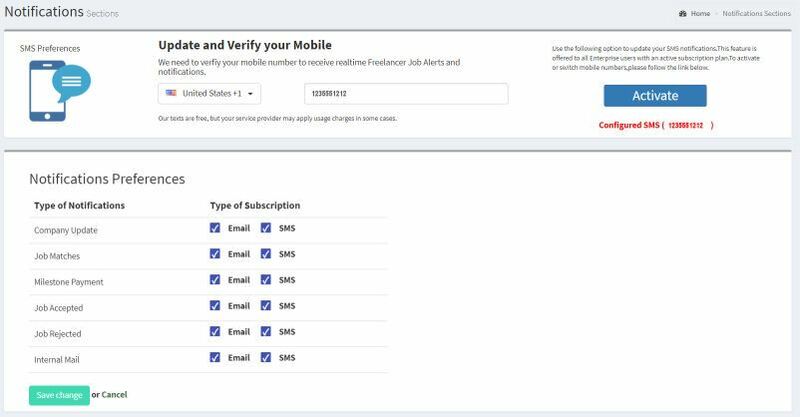 Payment to Freelancer are not released until you approve the work. What payment gateways do you support ? We currently accept Paypal and Stripe. These providers do charge additional processing fee for each transaction. What type of project types does FreelancerMax support ? FreelancerMax supports Fixed-Price, Hourly, Monthly and Non-Specified project types. This provides the employer the most flexibility to choose for an given project. Click the “Become Employer ” button on the top right of the page. 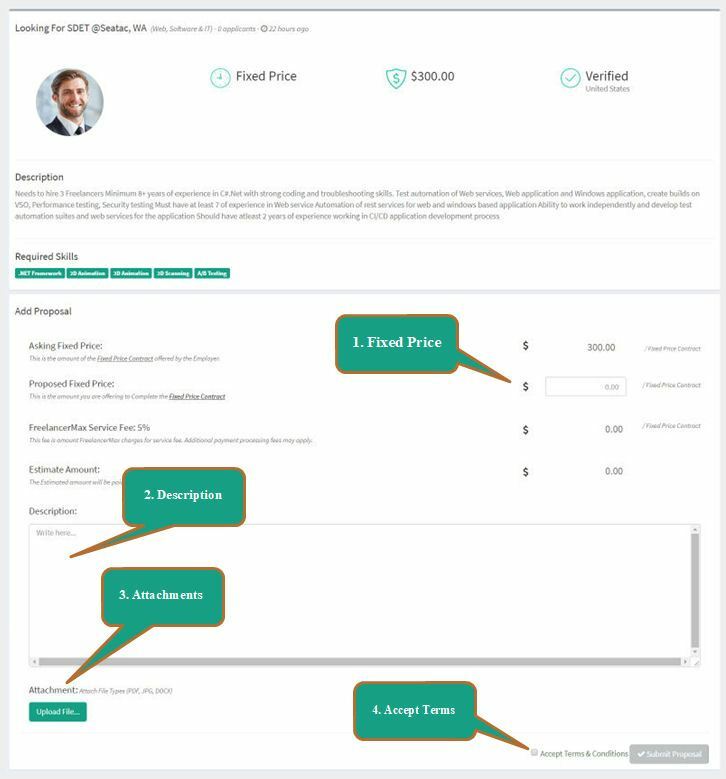 The cost to register and use FreelancerMax.com is Free. Jobs can be posted for Free, but we do offer upgrade options ti improve the marketing of the job posting. Upon starting and completing a job, we charge flat %5 of job cost from Employer and 5% from the Freelancer.! Select the Profile Image button. Setup your company logo, recommended size (200 x 200) pixels. Default image provided. Setup your profile avatar, recommended size (200 x 200) pixels. Default image provided. Setup your background image, recommended size (1920 x 1280) pixels. Default image provided. These images will be used for your public profile, choose images that will set you apart from the competition. Select the Setup About button. Generally try describing your skills and experience. Select the Select Setup Location button. Provide us your place of business. This description will be shown on your public profile page. Select option in Dashboard Control Panel to Post a new job. Select option in Side menu to Post a new job. Post a new job on FreelancerMax.com. FreelancerMax offers 6 exciting options to upgrade the job. Option #1 - Always on Top Normal Listing - Puts your listing on top of others in search. Option #2 - Extended Listing - Extends the normal 2 week listing to 4 weeks. Option #3 - Search Engine Indexed - Google, Yahoo, Bing to index job posting page. Option #4 - Tweeted to Freelancers - Job Listing is tweeted on Twitter. Option #5 - Bold Listing - Applies a Bold font to job title to stand out from the rest. Option #6 - Highlighted Listing - Applies an highlight to job to stand out from the rest. 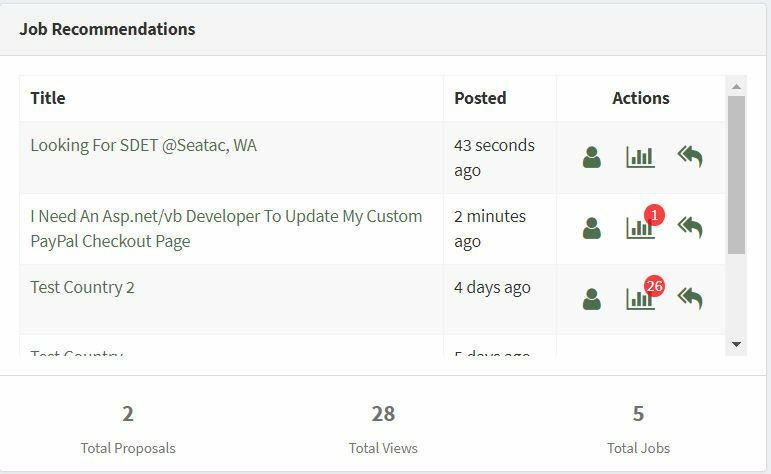 Using the Dashboard, view the Active Job Listing Panel. 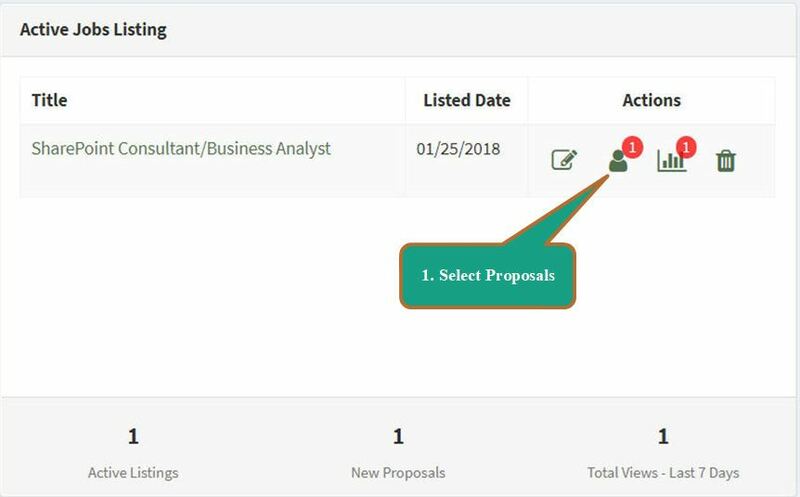 Another option, use the sidebar menu and click on Proposal List to view all Proposal. Using the Proposal List from Sidebar. Select the assign proposal button. Please make careful review of the terms of the proposal, by assigning the proposal, you are agreeing to the terms of the proposal. Overview provides a summary of the agreed upon terms. 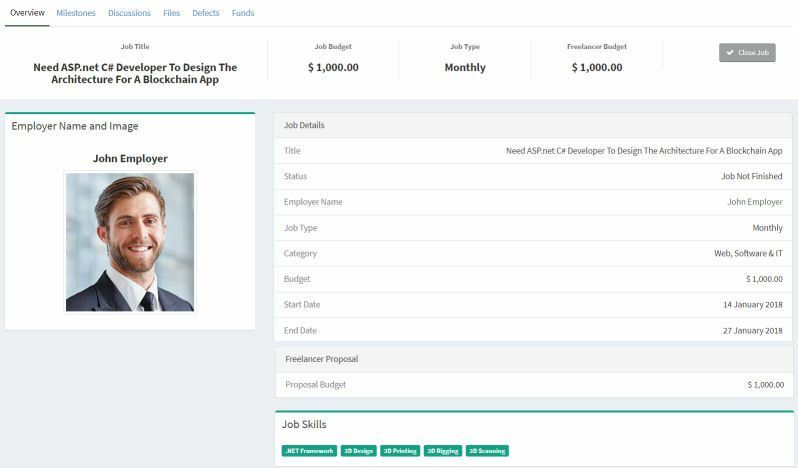 Milestones allows Employers to create and manage milestones for the project. Discussions allows Freelancer and Employer to communicate. Files allows Freelancer and Employer to exchange important files. 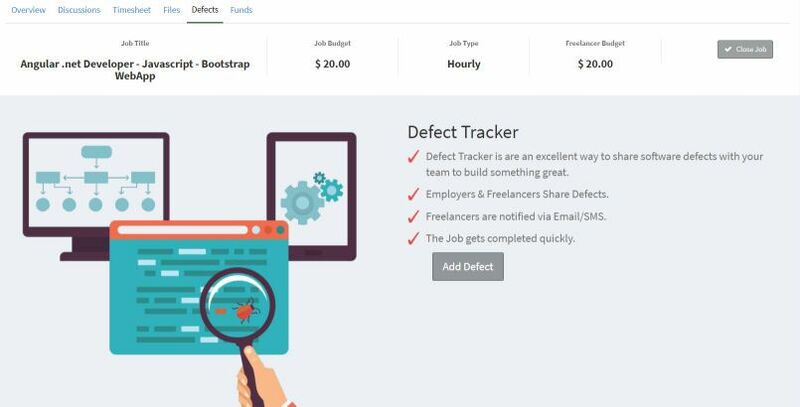 Defects allows Freelancer and Employer to manage defects. Funds keeps track of payments for the project. Milestones are created by Employers. Employer would create and fund milestones. Freelancers can request an project milestone. 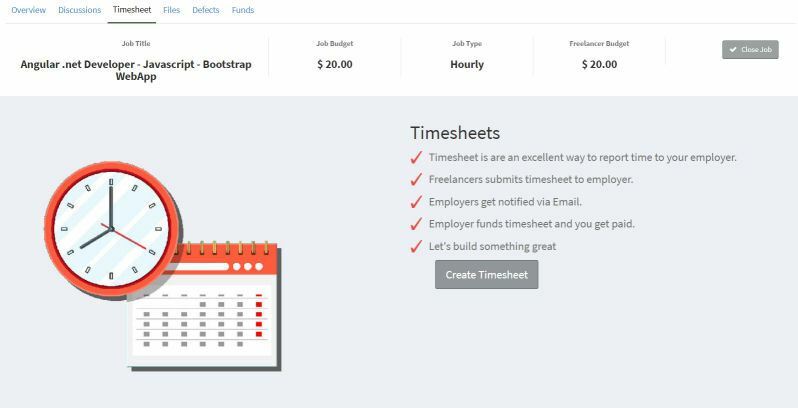 Timesheets are created by Freelancers. The time period and submission is agreed to by Employer and Freelancer. Freelancer submits timesheet at end of period. Discussions can be initiated between Employer and Freelancer. Emails are sent to Employer and Freelancer. Messages are secure and private. 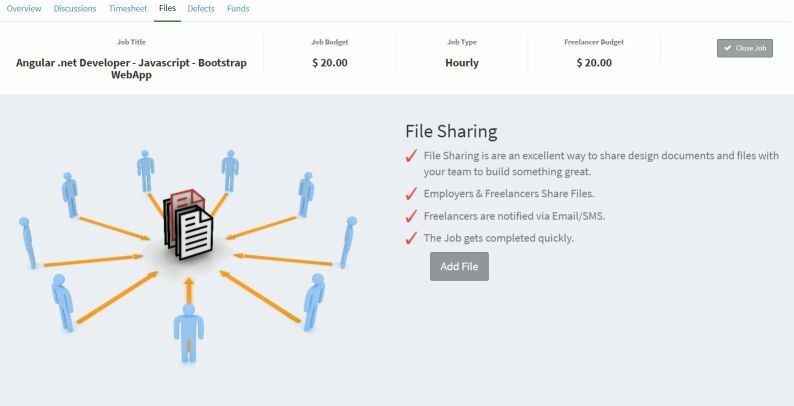 Files can be shared between Employer and Freelancer. Files are stored on our private cloud server. Files are secure and private. Defects can be shared between Employer and Freelancer. Freelancer can update status of existing defects. The job gets completed quickly. Funds will be displayed for the project. Shows Milestone and Timesheet payments to Freelancer. Milestones can be funded with Paypal or Stripe. Milestones are held in FreelancerMax Escrow account until released by you. After the milestone is complete, you may release the funds to pay freelancer. Freelancer can begin working on the given task. Once the milestone is complete and approved, employer can release milestone to pay freelancer. The Freelancer is notified throughout the process. Timesheets can be funded with Paypal or Stripe. Select Notification Settings from side menu. Select the options you wish to receive email. Select the Close Job button. Share your experience on this project. Submit to close the job. Why can't I sign in ? Does applying for a job cost anything ? Applying for a job is Free using a Standard Plan. We do offer Freelancer Professional and Enterprise Plans for improved features and benefits. Start Working Today!. 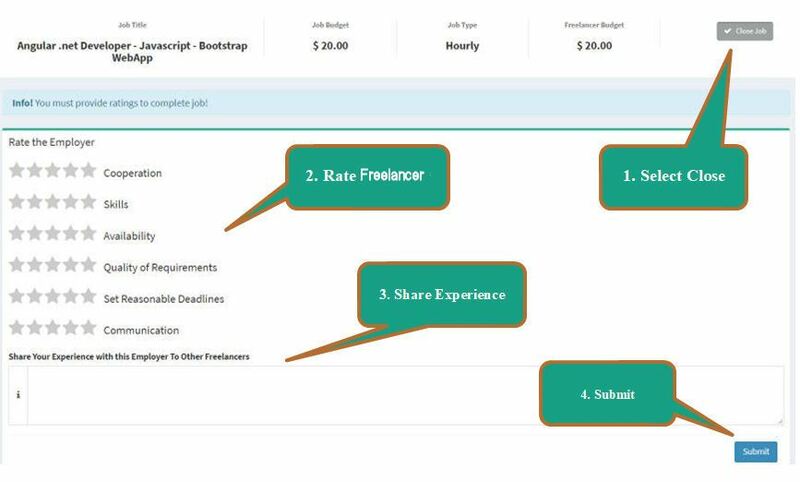 How does Freelancer receive payment ? What is the advantage of Enterprise Plan ? Click the “Become Freelancer ” button on the top right of the page. If you would like to submit a proposal for a job listing on FreelancerMax.com, you must first create an freelancer account. The cost to register and use FreelancerMax.com is Free for Standard Package. We do offer other packages Professional and Enterprise at a monthly recurring subscription, please refer to Pricing page for details. Select the Select Identity button. Provide us your social media affiliations. Select the Setup Skills button. Selecting skills allows FreelancerMax to find you more jobs. Selecting skills allows Employers to find you. If there is a skill that we missed, let us know. Select the Setup Service Listing button. Creating service listing allows Employers to find you better. The service listing will be used for your public profile, define your service listing to set you apart from the competition. Select the Setup Payment Withdraw button. Additional Payment Processing fees may apply. 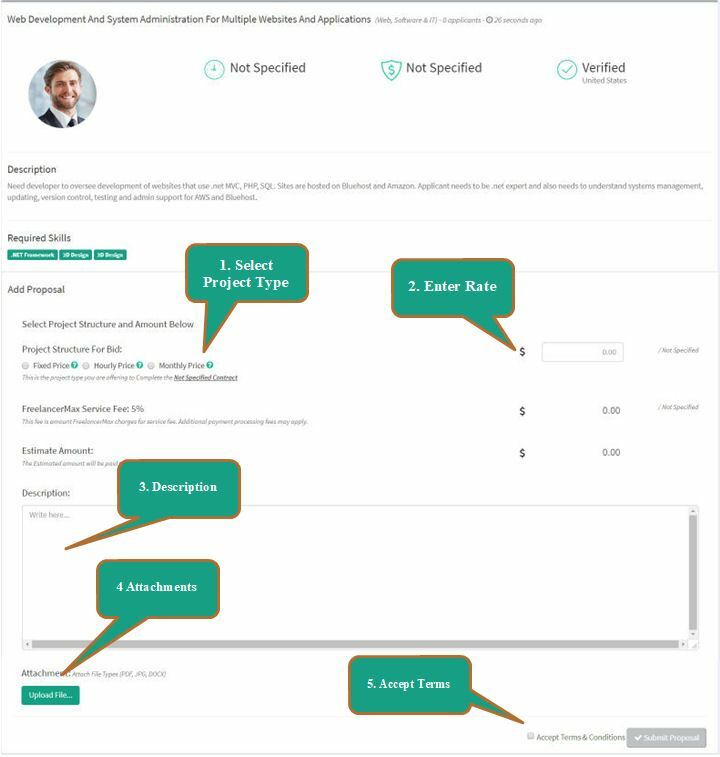 The Jobs Recommendations Panel is shown for all Freelancers once the skills are selected for the user. We search our network to provide you a list of recommended jobs. The panel allows you to send a proposal. View Number of views for a current job. Total Number of Proposals submitted for job. Use the search text box to search for specific jobs. 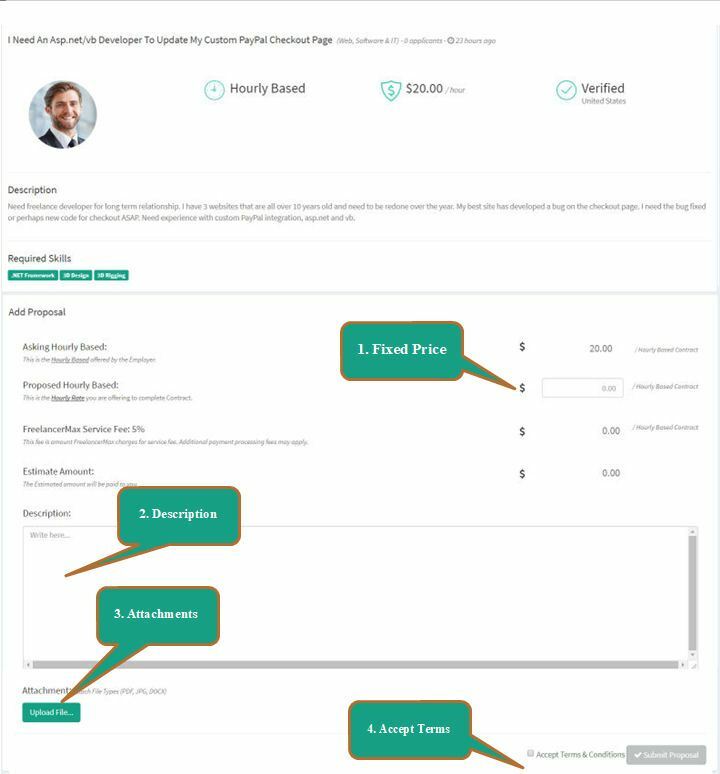 The left panel allows you to filter job based on price, location, and additional options. Enter the proposal price, the price you accept to complete the job. Enter description on why you should be selected for job. Attach any attachments needed for proposal. Enter the proposal hourly price, the price you accept to complete the job. Select Project Type (Fixed, Hourly, Monthly). Enter the proposal rate, the price you accept to complete the job. Milestones allows Freelancers to request and manage milestones for the project. Files are private and safe. FreelancerMax offers two methods to withdraw money using Paypal and Skrill. Choose your preferred method of withdraw. Enter the amount available for withdraw using preferred method of Paypal and Skrill. Employer payments must clear before amount is available for withdraw(allow 2-3 days). Enter the amount to withdraw and select the Withdraw Fund button. All transactions are shown in transaction history table. Select the Membership option in side menu. Select Professional or Enterprise to Upgrade account. Professional and Enterprise are billed on Monthly subscription. The current subscription should be shown for your account. Select the cancel button to stop the monthly subscription. Select the Bid Management option in side menu. Select the package you wish to purchase. After payment is processed, the bid package will be added to your existing bid count. Every month on the first day of subscription, based on the enrolled plan. Bids will be automatically be added to your account. Bids are rolled over from month to month. Select the options you wish to receive email/text. Text only applies to Enterprise Plans. Enter the current mobile number and select the Activate Button. All Notifications will be via Mobile and Email.